These days we carry a ton of gadgets with us everywhere. It can be a real pain trying to keep all of those devices charged up. Conventional charging backpacks aren’t all that useful if you carry things like drills, pliers, and other tools. 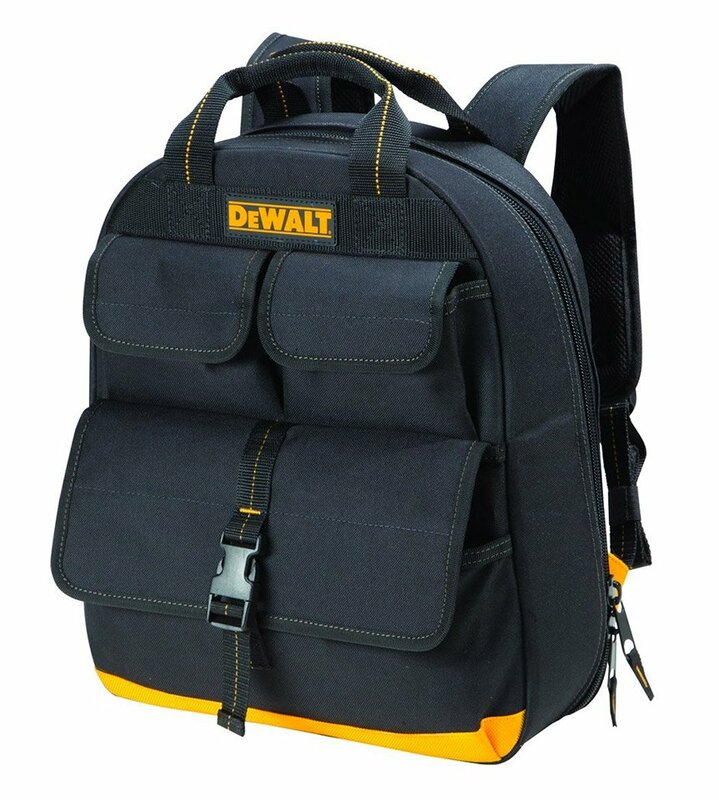 If you carry lots of tools or other small gear, you’ll like the DeWalt USB Charging Tool Backpack. There is no wide open main compartment. Instead it comes with a bunch of pockets for organizing hand tools or power tools. 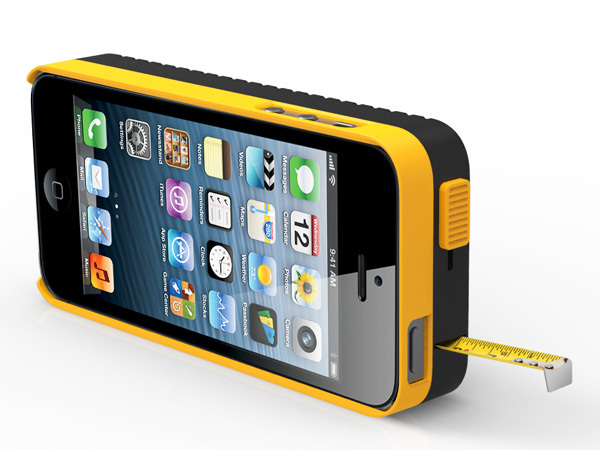 It lets you carry all your tools while keeping your gadgets charged at the same time. 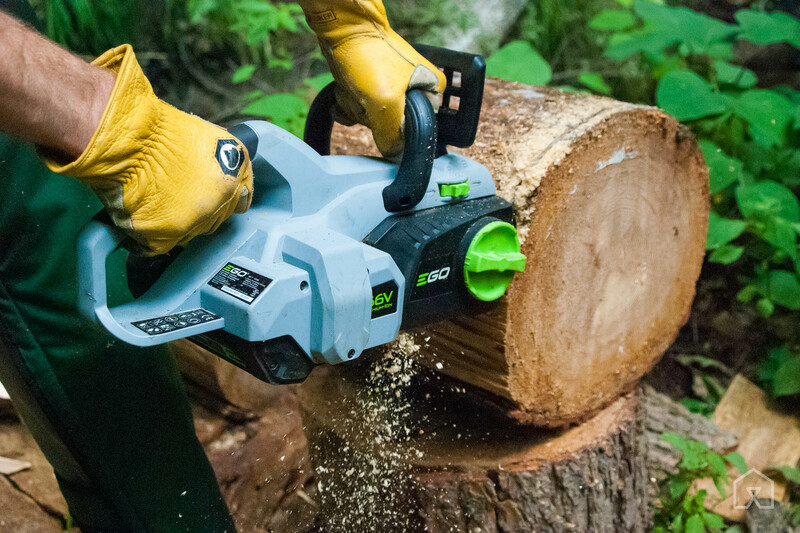 It comes with an integrated dock, sized to hold a standard DeWalt 20V MAX lithium-ion battery – the same one used in their power tools. This connects to USB portsthat allow you to charge a pair of mobile devices at the same time. 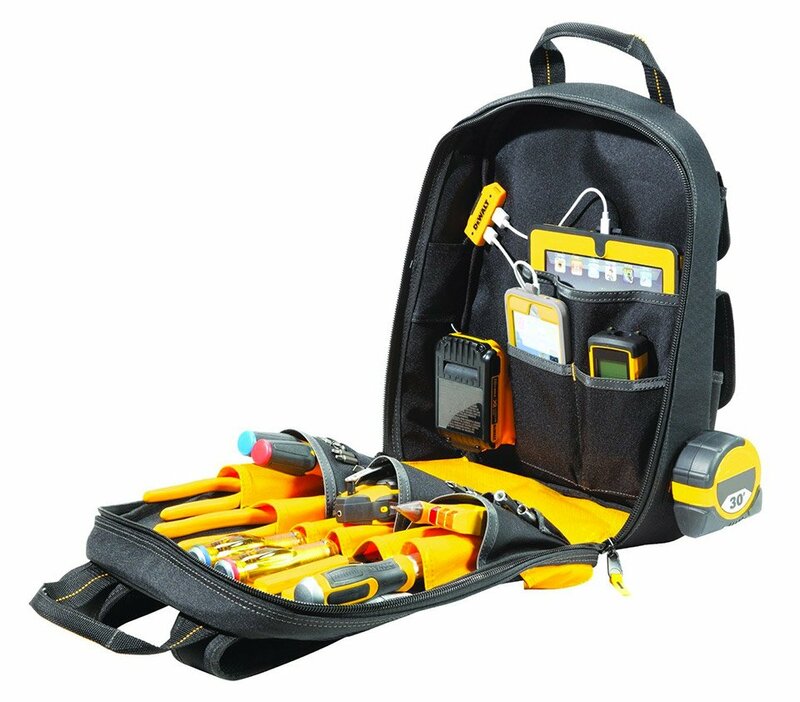 There’s one tablet pocket and two phone-sized pockets, along with a tool wall with 17 pockets for organizing screwdrivers, hand tools, and smaller items. There are three flap pockets outside for even more tools or accessories. This is a sweet backpack for only $69.99(USD). 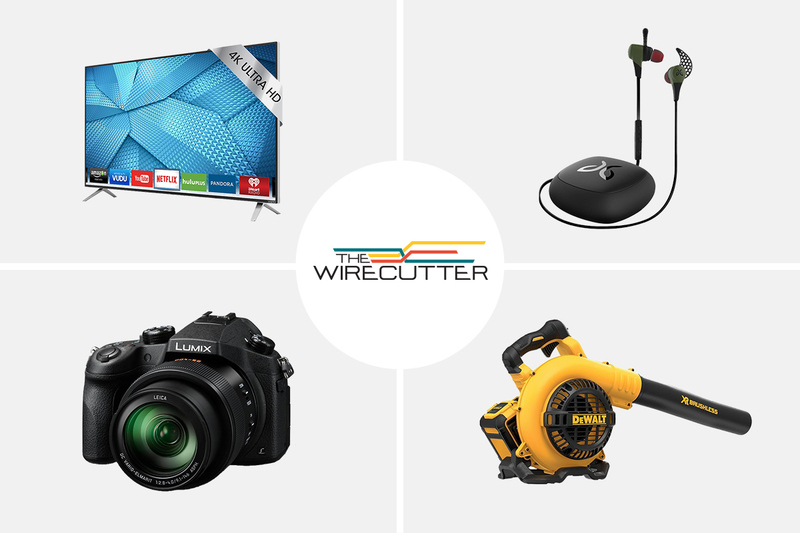 The Wirecutter’s best deals: A Vizio smart TV and more! 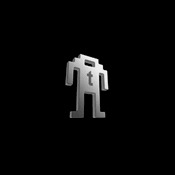 If you’re a foreman, or project manager, part of your job just got a little easier. 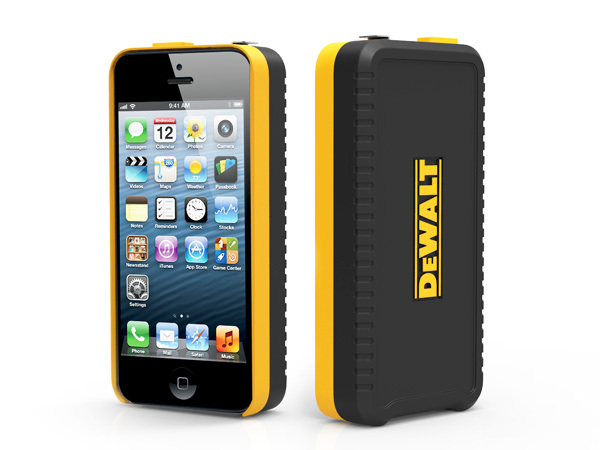 DeWalt will be releasing “a new line of Bluetooth rechargeable batteries that can be connected to a smartphone app for checking their charge status—or remotely disabling them.” They come in 2.0Amp and 4.0Amp versions, and all pair with an iOS or Android device for easy management. 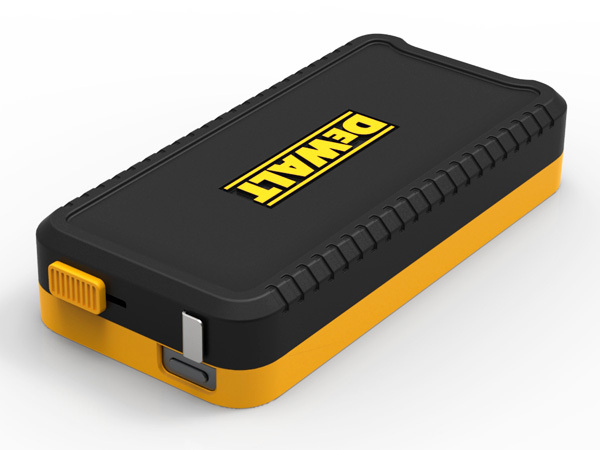 Managers can keep track of specific inventory at a job site, charge levels on each battery, and can disable individual ones or all of them in one go. You can set things so that you receive a notification if a battery is taken out of range, and it can also be auto-disabled if that happens. It’s even possible to lend tools for a specified amount of time, after which the battery will be disabled to force the tool’s return. When you’re on a job site, you have tons of things to take care of and keep track. 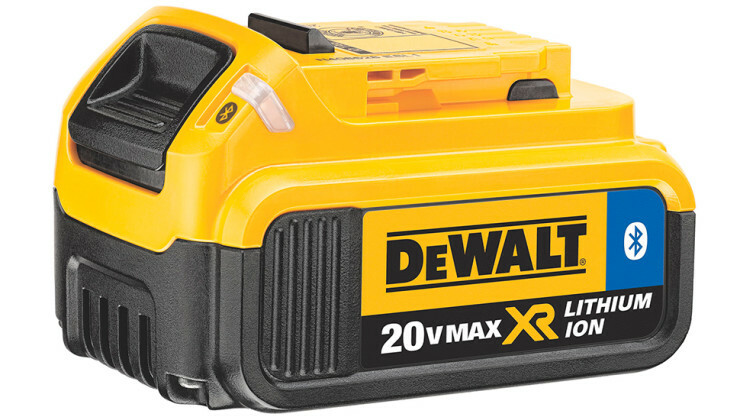 Every little bit helps, and these batteries from Dewalt should be well received. It’s $99 and $139 for each, which seems like a lot until you end up preventing a theft or two, then they pay for themselves.